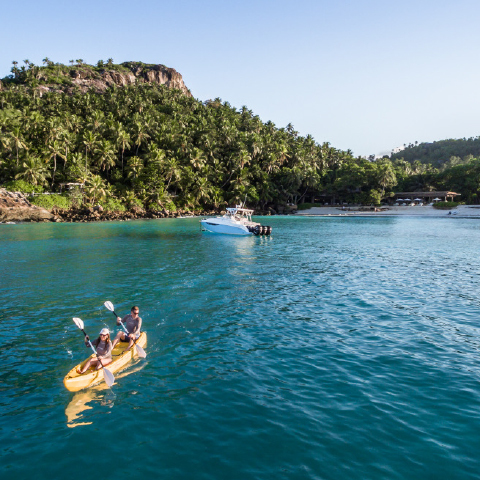 Offering an array of health and wellbeing activities, North Island Seychelles exudes barefoot luxury and is the perfect place to take a moment to escape from the pressures of everyday life, pause and refresh the mind to start the new year fresh. Whether guests prefer to relax on the private island’s pristine powder-white beaches, unwind with some blissful yoga or exhilarating scuba diving, kayaking and surfing, the luxury private island promises to delight all health and fitness enthusiasts. The resort’s generous all-inclusive offering allows you to completely give yourself over to the Island’s laidback spirit, completely switch off and leave your day-to-day life behind. 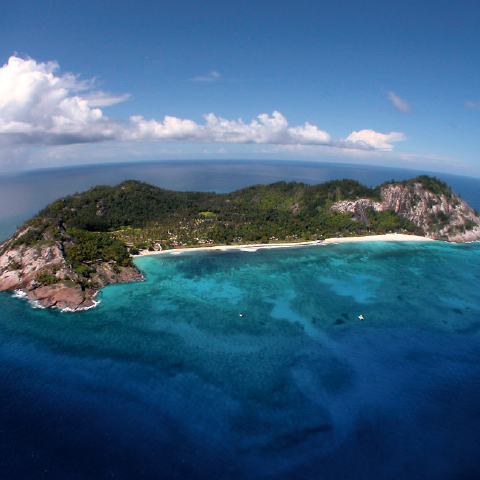 The secluded island – nestled deep in the Indian Ocean, accessible by private helicopter transfer – boasts four private, stunning beaches and an entire flotilla of guest boats available to facilitate activities on the Island, both on and below its crystal-clear waters. The endless activity list leaves visitors spoilt for choice and wanting to explore something new every day. Scuba diving courses, snorkelling, sea kayaking, surfing, bodyboarding, stand-up paddle boarding, sunset cruises and half-day fishing trips in and around North Island can all be enjoyed by the whole family and are part of the all-inclusive offering. The Dive Centre experts will share their intimate knowledge of the local reefs with diving enthusiasts and suggest the best places to spot stunning marine life. Housed in a picturesque historic building near the Piazza, North Island’s Dive Centre offers full PADI tuition and certification for adventurous guests who love to explore the ocean. 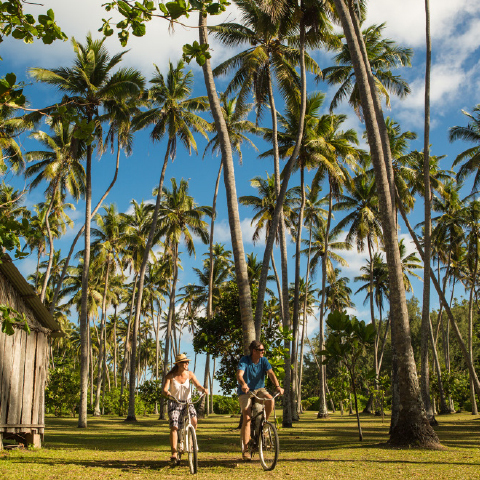 nature-rich surroundings that are an important part of guest wellness on North Island. Keen fitness fanatics will find that the tropical forests and cool leafy trails make for excellent biking or running routes. Guests can learn about the island’s flora, fauna and animal life by joining the Environmental team on one of their walks to find out more about their successful efforts to rehabilitate the island through the Noah’s Ark programme. Those that prefer to spend long languid days relaxing can do so at the Spa which is at the base of Spa Hill and boasts incredible views of the Indian Ocean. Guests can schedule a personalised treatment specifically tailored to their needs by one of the spa’s specialist therapists. Lazy mornings can be spent in bed or watching the sunrise over the ocean during a private yoga session or a group yoga class can be joined later in the day. hike up spa hill; the stunning views at the top are well worth the early wake-up call. access via cascading wooden decks and steps to its own private curve of East Beach. plunge pool and outdoor sala: the private sanctuary to call your home away from home. North Island redefines luxury travel and unleashes a sense of complete freedom for all guests, to be at one with themselves and close off to the world throughout their vacation. The professional North Island team is dedicated to creating the best possible experience, whatever that is to each guest, and enjoy rising to the challenge of creating new activities for guests of all ages. Every detail is carefully thought out and customized by the team of personal Villa Attendants. North Island’s approach to the guest experience is to ‘spoil, surprise and personalise’ at every step and the team strive to go above and beyond to make every visit unforgettable. Rates at North Island start at € 5,835 per night, exclusive of VAT. Children under the age of 17 sharing the second bedroom are free of charge. For young adults aged 17-19 sharing the second bedroom, the rate is € 640 per night, exclusive of VAT.